Starting with their free estimate you will immediately see just how affordable quality work from Gamco Remodeling can be. This service is able to assess exactly what you would like done and carry out the necessary work in the shortest period of time. They have been providing this work since 1978 and have become known amongst local remodeling companies for being one of the most efficient and most affordable services in Long Island. 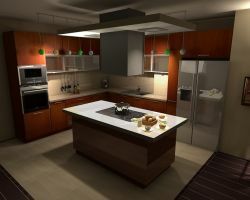 In addition to their quality work, they also offer a great visualizer tool to see your kitchen before work begins. Remodeling your kitchen can completely change the look and feel of your home but it can also be a long process if you are not working with the team at Andate Construction. This company is known for being able to come up with the most unique custom designs for their clients and then implementing them with flawless precision. 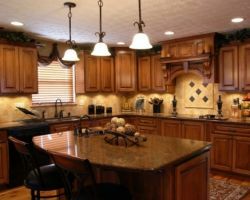 From cabinet installation to picking countertops and fitting new plumbing and appliances, this team is skilled in all aspects of kitchen remodeling in Long Island, NY. The expert craftsmen at Coastal Cabinet Works started their service by providing quality cabinets to residents throughout Long Island. 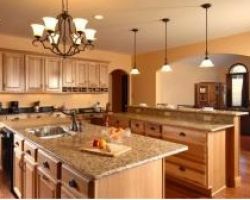 This quickly developed to include remodeling services that transform kitchens into the perfect space. There is nothing more important to a family home than having a kitchen that everyone loves spending their time in. When it comes time to remodel this room you should only call this professional team as reviews continually praise just how dedicated to their trade and the finished product they are. From basements to the exterior of your home, Manuele Contracting Inc. is able to take care of any of your remodeling projects. While their team is certainly talented in a range of home construction fields, they have become famous throughout New York as a kitchen remodeling contractor. As a full-service renovation team they will guide you through every step of getting your perfect kitchen from choosing fixtures to deciding on the right layout for your family. They are also incredibly easy to work with on any project. When renovating your kitchen you shouldn’t risk ending up with cheap materials and a poorly designed space. Instead, you should go to the best in the business and choose Double D Contractors. It is clear to see from their portfolio of finished kitchens that these experts have the skills and experience necessary to always achieve amazing results. 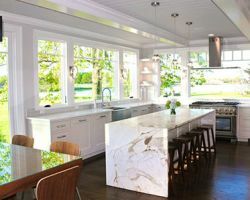 By being able to give their clients their dream kitchen whilst always keeping the prices of their services as low as possible, Double D Contractors has quickly become one of the leading Long Island kitchen remodeler services.